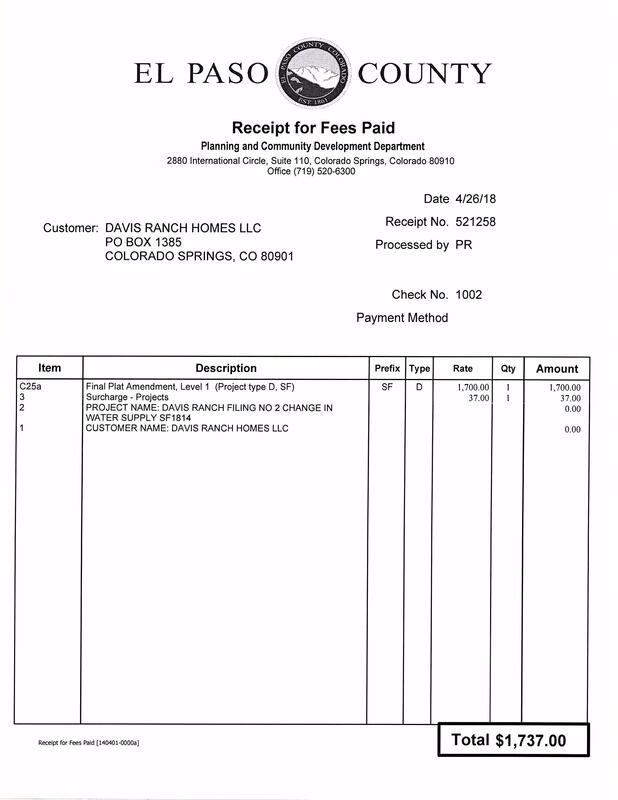 A request to amend the Davis Ranch Filing No. 1 to change the water supply to utilize joint use wells in lieu of individual wells. The subdivision is located on the east side of Curtis Road approximately 1.25 miles from State Highway 94.